It was not unusual for reprint titles in series to be simultaneously published in the U.K. and U.S. by different publishers, nor was it unusual for series to be sold and issued, subsequently, by a different publisher. It is unusual, however, to have the remainders of a defunct series purchased en masse and rejacketed as a new series: a recycled series, so to speak. This is what E.F. Hudson’s bookstores did with its English Masterpieces series. 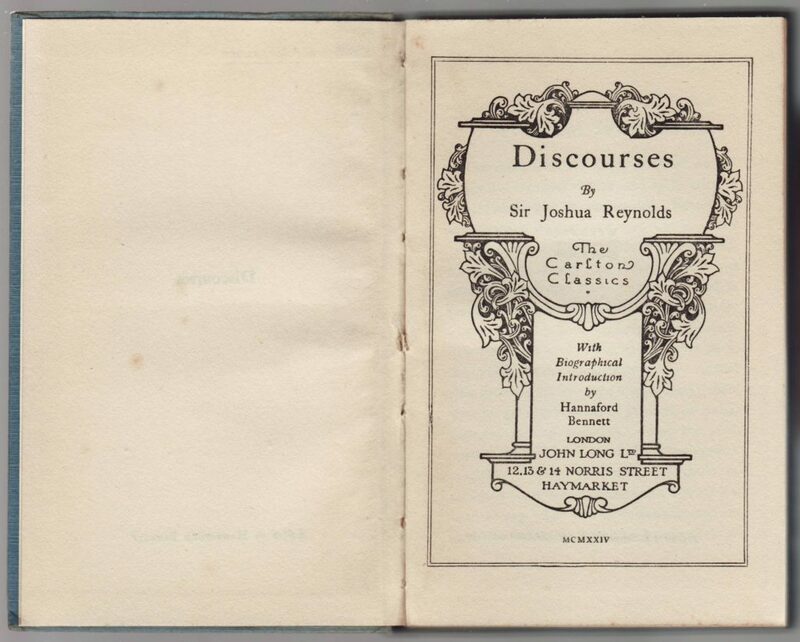 In 1930, E.F. Hudson Ltd., in an advertisement for the Carlton Classics series (published by John Long Ltd. until about 1928, when Long was absorbed into the Hutchinson Publishing Group) indicated that “E. F. Hudson, Ltd., now control the entire stock of this series.” (The Publisher, vol. 133, p. 505). 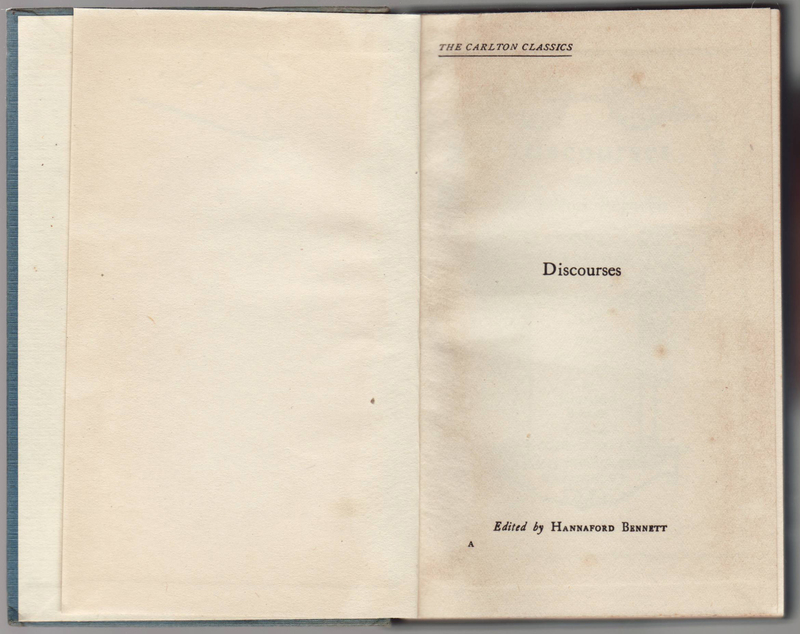 A 1972 article in The Bookseller (issues 3458-3470) indicates that “E.F. 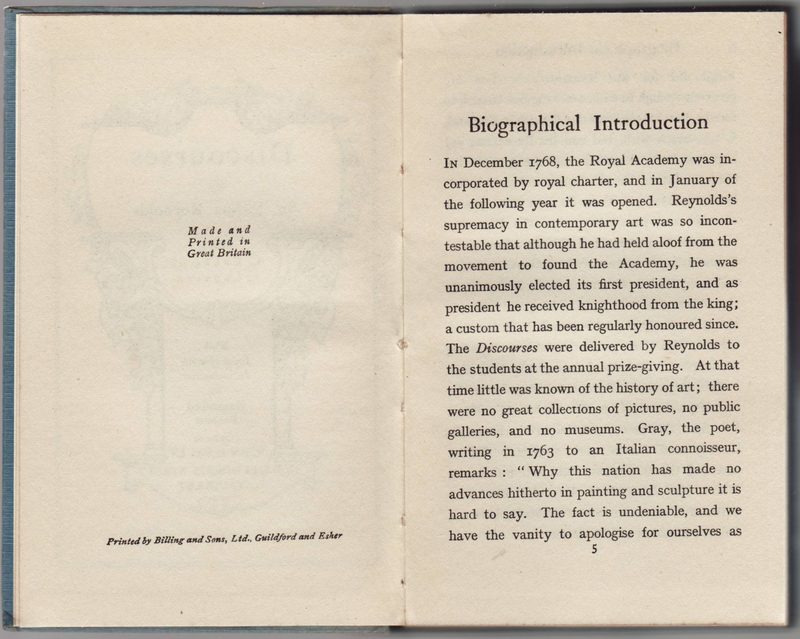 Hudson’s became a private limited company in 1926.” “In the 1920s and 1930s, a great number of remainders were purchased including 100,000 of 47 English Masterpieces titles.” In actuality, Hudson had purchased 100,000 remaindered Carlton Classics (48 titles, rather than 47), rejacketed them in a series called English Masterpieces and sold them in their stores and through their book sale catalogs. As a recycled series, the English Masterpieces are difficult to categorize. The books themselves are fully John Long Ltd. copies. Hudson printed none of the alleged 100,000 books they eventually sold as their English Masterpieces. The jackets are, then, the only evidence that distinguishes the English Masterpieces from the Carlton Classics. Even then, the books are literally Carlton Classics. But in jackets, they were sold as English Masterpieces by Hudson. 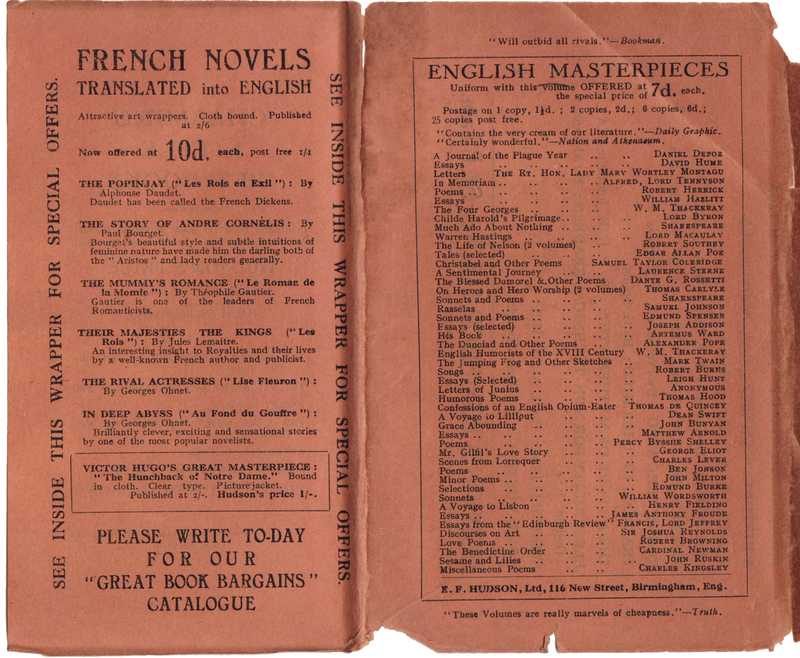 E.F. Hudson Ltd. has a handful of books listed under its imprint on WorldCat, cricket guides, a few regional histories, and other miscellaneous titles, but was not a regular publisher. All very peculiar but a clear example of the extent to which series books could be re-marketed – in this case as a new series based on remaindered copies. 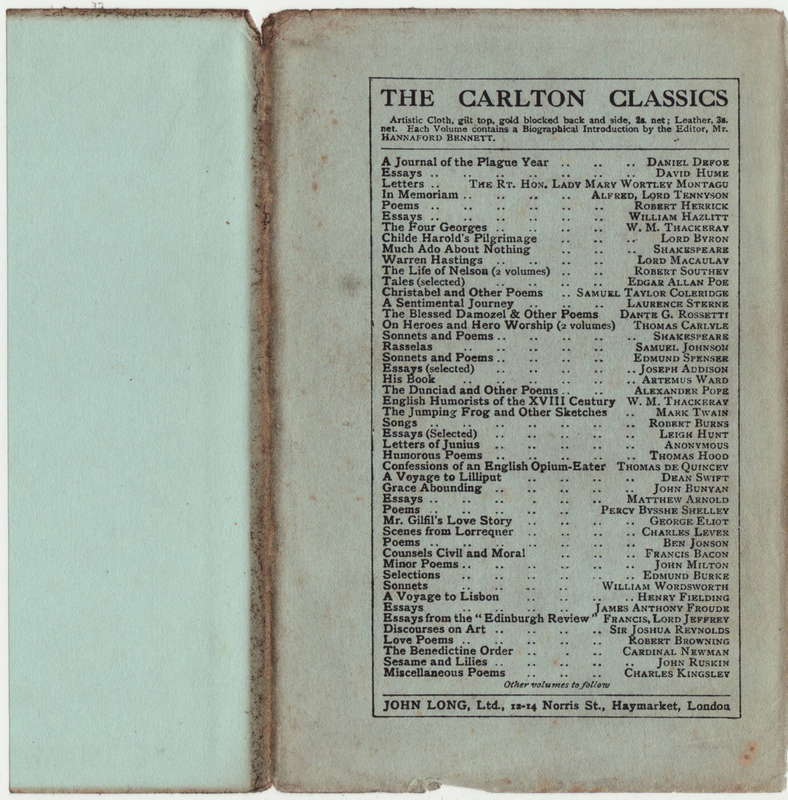 The rear of a 1923 copy of Macaulay’s Warren Hastings in the Carlton Classics contains a list of the 48 titles in the series. This is an ultimate list, no more titles were added to the series. An additional series of 10d. French Novels are advertised on the rear flap of the jacket, as is guidance to see the inside of the jacket for more “special offers.” The French novels may have been remainders of Collins’ Lotus Library which was phased out around 1930. All of the titles listed on the flap were in Collins’ Lotus Library. The jackets on the English Masterpieces are common to the series, with the book’s title on the spine. 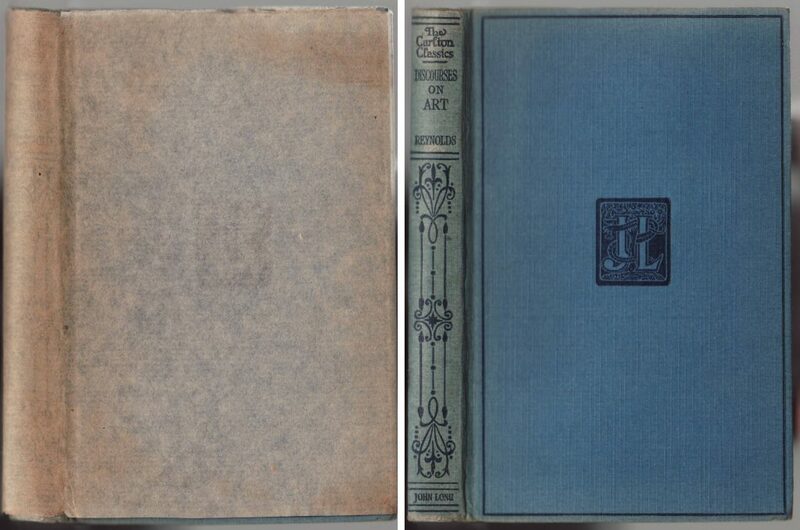 The front of the jacket also contains the author and title with an E.F. Hudson’s logo and imprint. The price, 7p., is on the top of the front of the jacket. In this case, it is inked out and a 3p. price is indicated. 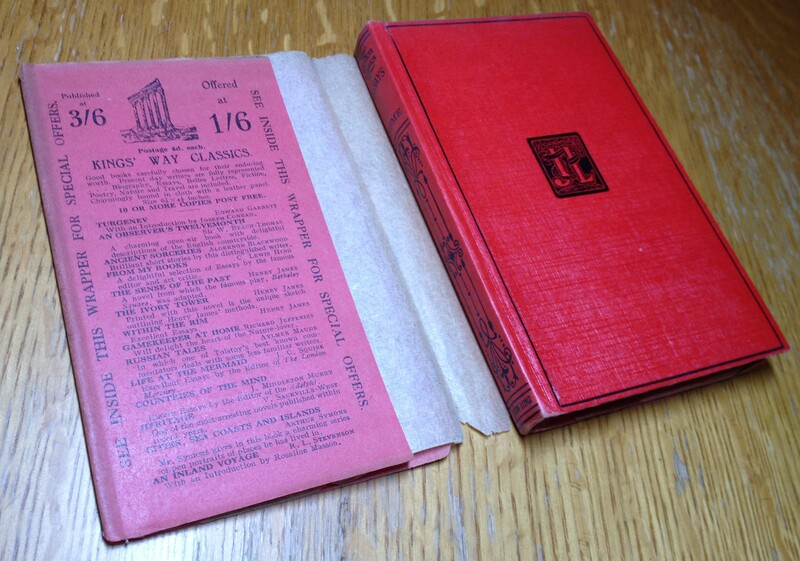 The King’s Way Classics (a discontinued Collins series) are advertised on the front jacket flap, along with more commands to see inside the jacket for “special offers. It’s not clear why the King’s Way Classics remainders were not recast as a “new” series by adding new jackets. 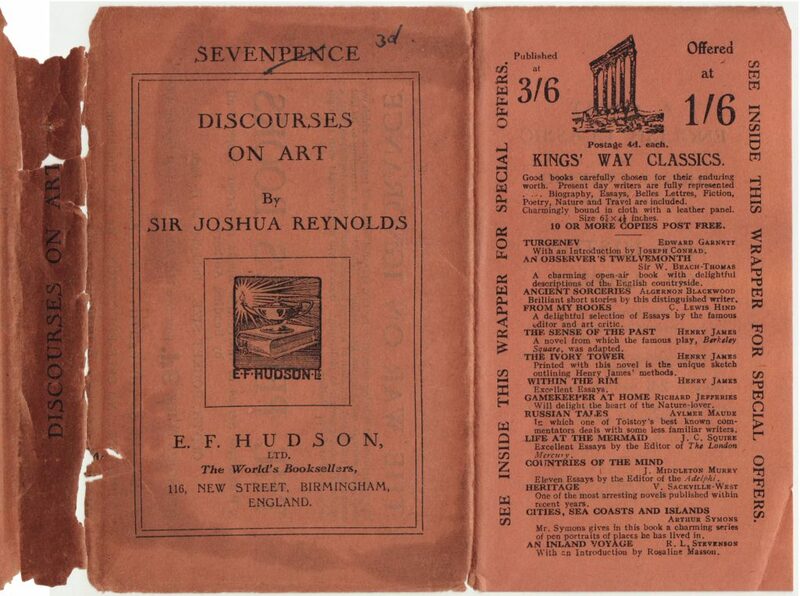 The reverse of the Reynolds’ English Masterpieces / Carlton Classics title contains more advertising and special offers from Hudson. Some Fielding titles are offered at discount prices, on the flap to the left. The flap to the right advertises “Charming Little Gift Books” appropriate as birthday or Christmas cards. It’s not clear if this was another remaindered series. 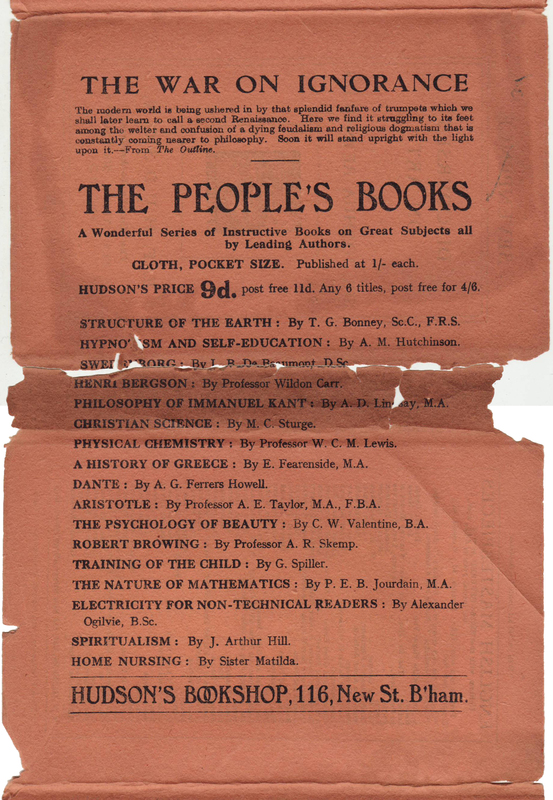 Finally, the middle of the jacket is taken up by an advertisement for The People’s Books series which was phased out by its publishers (Jack, Nelson, Dodge) in the late 1920s. The advertisement is titled “The War on Ignorance.” The books are discounted to 9d. from the original 1/- with group discounts available. The list includes a few dozen of the hundreds of titles published in the series, including some that were published near the end of that series (such as Home Nursing). Under the Hudson-supplied printed jacket is a tissue paper jacket (below left). It’s not clear if this was put on the book with the paper jacket, or an after addition by an owner. The book itself (below, right), it’s binding, and interior pages, are the same as Carlton Classics from the 1930s. The title page with a 1924 date.